At least 17 people have been arrested in Downtown Cairo during late night and early morning raids. The raids, which primarily involved coffee shops in the downtown area, resulted in the arrests of “journalists and civilians”, reported Al-Masry Al-Youm citing police sources. It is unclear why the arrests took place. A lawyer working with the Association for Free Thought and Expression also stated on Facebook that 12 people have been arrested. On social media, Egyptians have been posting about friends and family members being randomly detained in downtown Cairo. Meanwhile, 6 April reports that police raided the apartments of some of its members in an early morning operation. Some activist groups and activists have reported up to 50 people being arrested. However, this number could not be independently verified. The raids come amid calls for demonstrations on 25 April against Egypt’s decision to declare two Red Sea islands as Saudi Arabian. 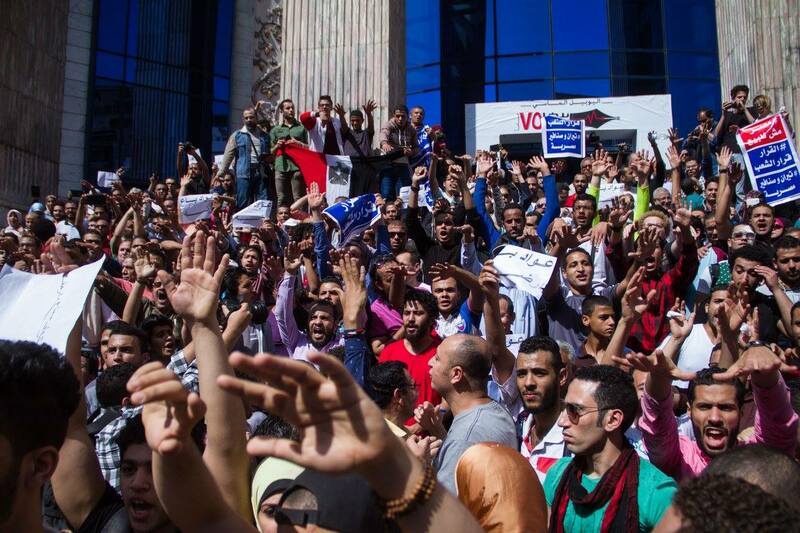 Last Friday, several thousand Egyptians gathered in Cairo and other major cities to demonstrate the decision. While 100 people were arrested across the country, the Ministry of Interior says they were released.